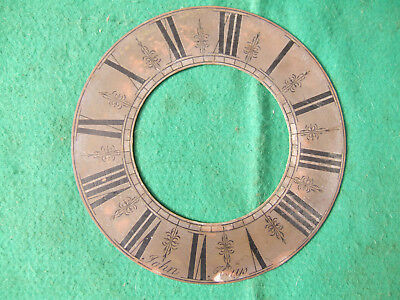 Seller: wrexhamave96 (3,523) 100%, Location: Lincolnshire, Ships to: GB, Item: 323491421639 This is for a antique? longcase clock dail made from brass. it has the name of John Hays. see last photo for the measurement. Please see photos as they form part of the discription Please see photos for condition. Postage cost is for the UK only. l combine postage cost were possible. Popularity - Good amount of bids. 2 views, 0.0 views per day, 196 days on eBay. Normal amount of views. 1 sold, 0 available. Good amount of bids. 2 views, 0.0 views per day, 196 days on eBay. Normal amount of views. 1 sold, 0 available. Seller - 3,523+ items sold. 0% negative feedback. Great seller with very good positive feedback and over 50 ratings. 3,523+ items sold. 0% negative feedback. Great seller with very good positive feedback and over 50 ratings.